Bill Riley’s Riley Motorsports LLC, of Indianapolis, Indiana, and Wayne Taylor’s Surrey Sport LLC, of Apopka, Florida have announced this week that their joint operation – running the SunTrust Riley Pontiac in the Rolex Series – will come to an end at the conclusion of this season. 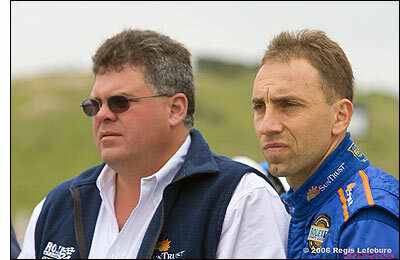 Wayne Taylor and Max Angelelli won the 2005 Grand American Rolex Sports Car Series Team and Driver Championships in the DP class with five victories, ten podium finishes, three poles and seven fastest laps. Remarkably, the #10 Riley completed every lap of the 2005 Rolex season. The Riley Mk.XI chassis has won a total of 24 races, finished on the podium 68 times and won two Constructor Championships since its creation and first race in January of 2004. 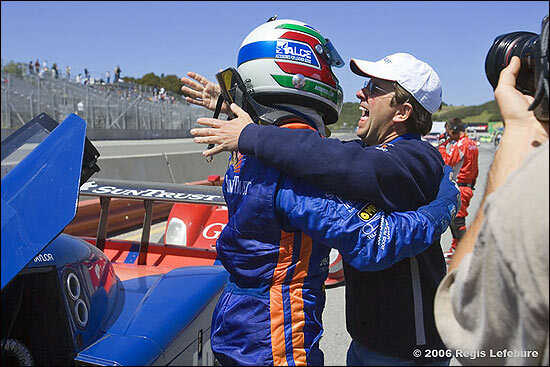 Here are the post-race celebrations at Laguna Seca, the #10 car's only win of 2006, so far (Angelelli and Magnussen).